He is prepared to take on challenging and groundbreaking cases. Alex is a public law and housing specialist. He has a wealth of experience in public law and especially in Human Rights related cases. He has been counsel in significant cases in both the Supreme Court and the European Court of Human Rights, which have resulted in substantial changes in UK law. Throughout his career he has represented the disadvantaged against the State and public authorities, seeking to hold them to account. Kay & Others v Lambeth LBC; Price & Others v Leeds CC  UKHL 10;  2 AC 465: Obligation to give practical recognition to the principles set out in the Strasbourg case law. The availability of Article 8 ECHR as a defence to possession proceedings. Alex is currently involved in a challenge to the compatibility of the legislative scheme governing the disclosure of spent convictions and the compulsory disclosure of certain offences on DBS certificates (R(P) v Secretary of State for the Home Department  EWCA Civ 321;  2 Cr. App. R. 12). The Secretary of State’s appeal is expected to be heard in the Supreme Court in mid-2018. R (McCarthy) v Basildon DC  EWCA Civ 13: Public law challenge to decision to evict residents of “Dale Farm” in Basildon. McGlinchey v UK (2003) 37 EHRR 41. Alex has been counsel in some of the leading cases on the scope of Article 8 in possession actions. 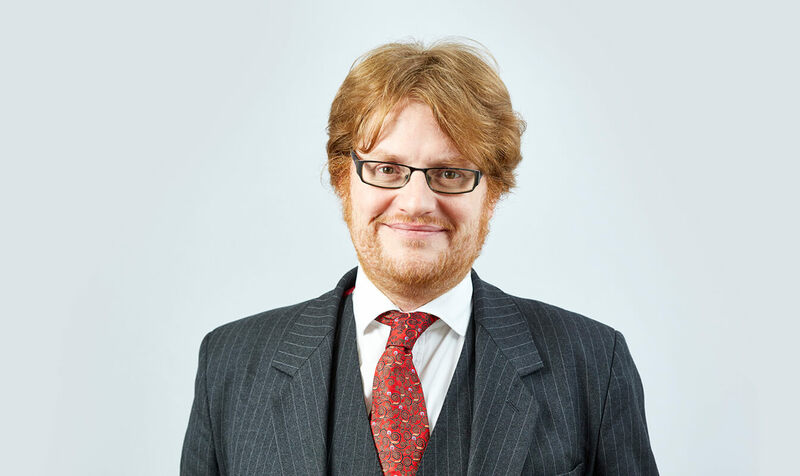 His housing practice includes both residential housing and defending claims for possession of land occupied by persons without permission, whether anti-fracking protestors, homeless protesters or members of the Gypsy and Traveller community. He has extensive experience over a much wider range, including homelessness, housing allocation, unlawful eviction, disrepair and disability discrimination. The latter is of particular interest to him for personal reasons. He has experience in cases involving Houses in Multiple Occupation and of representing clients with mental health issues. Alex has challenged decisions in this area for many years, including planning decisions (on behalf of Gypsies and Travellers), advising on judicial review/human rights cases around school admissions and decisions as to whether or not to prosecute parents for the non-attendance of children at school. Alex has experience of challenging decisions in this area including housing allocation for the disabled and the provision of funding for further education placements. His expertise in judicial review and human rights is an obvious strength in this area. He also accepts instructions acting for vulnerable parties in Court of Protection proceedings. Alex represents and advises appellants in disciplinary matters against the Nursing and Midwifery Council and Teaching Agency. He has substantial experience of conducting hearings before the General Medical Council. This includes interim orders, fitness to practice hearings and challenges by way of judicial review. He has regularly been involved in fatal accident cases involving the Health and Safety Executive as a result of company failures to safeguard employees or the wider public while at work. Alex’s practice covers both inquests themselves and consequential applications for judicial review. A number of inquests have included arguments about the appropriateness of holding an Article 2 inquest, the scope of Article 2, and Jamieson-style inquests where Article 2 does not apply. Alex also has experience of challenging coronial decisions in respect of Article 2. He appeared in the successful claim for violation of Article 3 ECHR arising from treatment of deceased in custody in McGlinchey v United Kingdom (2003) 37 EHRR 41. Alex deals regularly with discrimination issues in his housing practice and has experience of arguing these issues in the Administrative Court in his public law work. See, for example, R (Mahoney) v Secretary of State for Communities and Local Government  EWHC 589 (Admin);  RVR 237. Alex is a highly experienced public law practitioner. He has experience of judicial review proceedings in community care. McGlinchey v United Kingdom (2003) 37 EHRR 41: Violation of Article 3 ECHR arising from treatment of Ms McGlinchey in custody prior to her death. Dunn & Another v Bradford MDC; Marston & another v Leeds CC  EWCA Civ 1137;  HLR 15: Meaning of “execution of the order” within section 85(2) Housing Act 1985. Estoppel. Contributing editor to Cohabitation: Law & Precedents, Sweet & Maxwell, 2011 – 2013. Young Barrister of the Year, Yorkshire Lawyer Awards, 2002. Alex’s Privacy Notice may be viewed by clicking here.